Selfie Ring light, Rechargeable Portable Clip-on Selfie Fill light with 30+ LED for iPhone/Android Smart phone Photography, Camera Video, Girl Makes up. 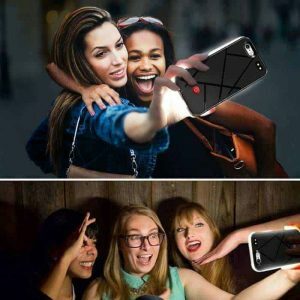 Can’t Get Satisfied Selfie Photos in the darkness Environment? 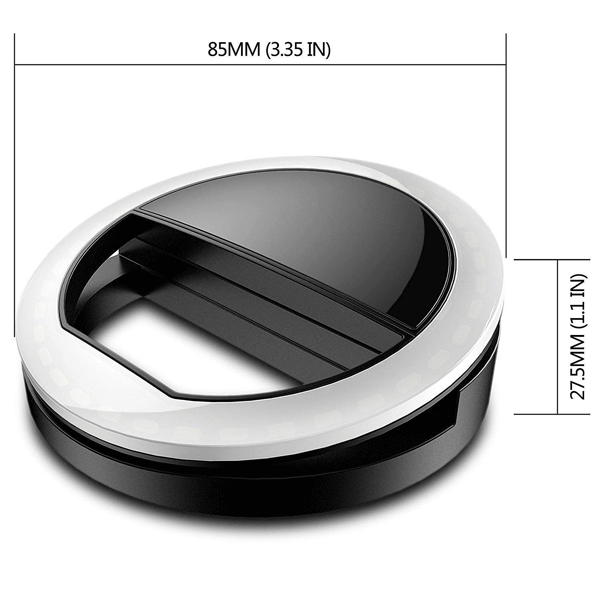 Here is the Solution: this Magic, Round, Palm-sized Gadget Clears all your Worries and Frustrations! With 30+ LED bulb, this Specially Designed Selfie Ring light Provides Supplemental or Side Lighting for Photography in the Night or Darkness, Helps you to Get Higher Quality Pictures and Videos even in Low-light Place. Plug-free and Super Easy Operation: just by Clamping this Flexible Clip-on Selfie Ring light on Your Smart Phone and Pressing the Button, you will Get the Supplementary Lighting. 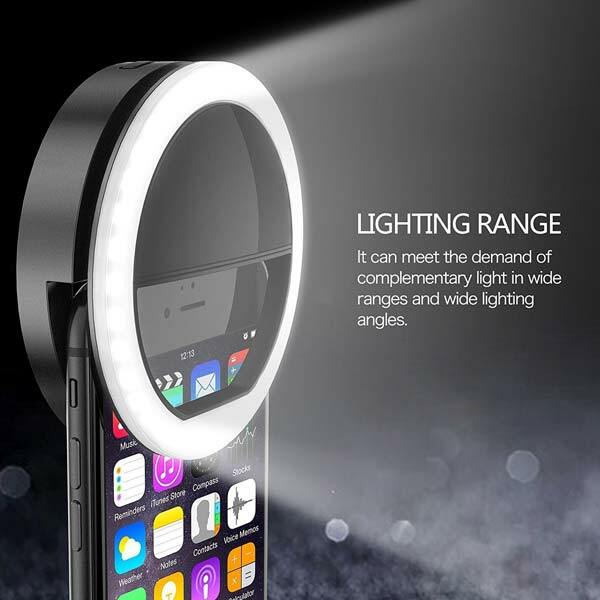 Selfie Ring Light : High diffusion permeable light mask design, LED multi-source dense distribution makes the fill light evenly, the complementary light is more downy and beautiful. 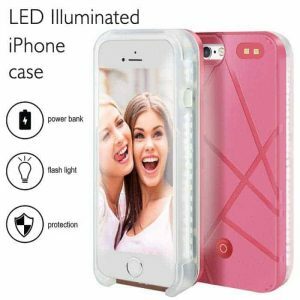 3 LIGHTING MODE : Include 3 white light brightness mode (low, normal, high white brightness). 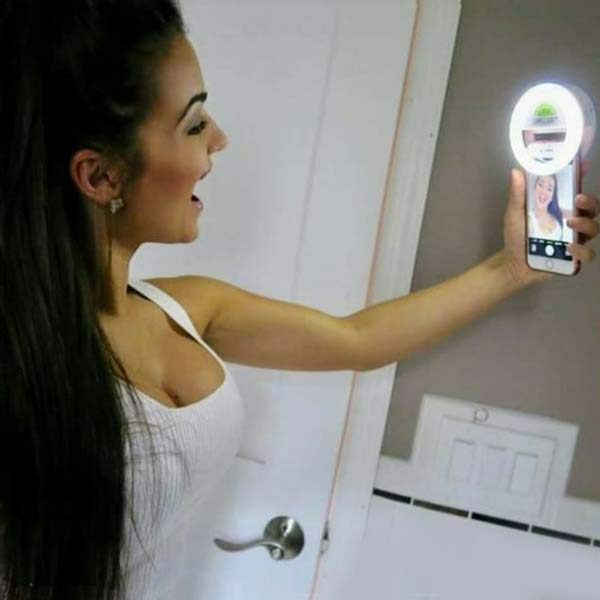 Catch any perfect selfie you like with perfect brightness using our Selfie Ring Light. 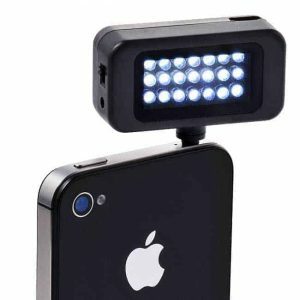 Rechargeable Batttery : Equipped with a 450mAH built in battery and support USB charging. 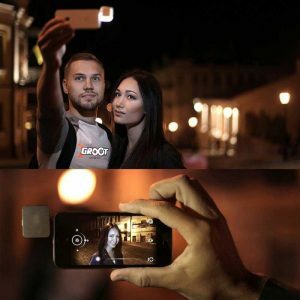 It can easily run over 3 to 5 hours when the battery fully charge. Humanize Design : The silicone gel is designed to protect against the scratches, and maximum holding thickness is 18mm. 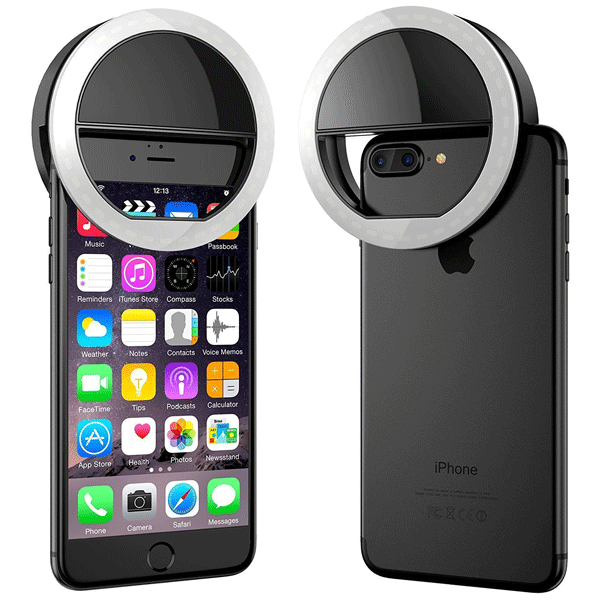 It can be held in the collar, the visor, the tent, the backpacks, the mobile phone, the bicycle stand, the glass surface and so on. Multi Application : This Selfie Ring Light has wild use range, it can be use in selfie, make up, reading, camping light, election light, cycling and flash run.